I've been feeling much better today physically and mentally. Going on bike rides and enjoying the beauty around you can do wonders. Also the fact that Halloween is in 22 days, and I am over the moon excited. I picked up these decorations from a thrift store a couple of weeks ago and put them all out yesterday (That's a lie, I put them out when I got them in September). They were all 25 cents to $1! I can't wait to go home in the next 2 days and see how my family decorated the house. In between classes I got some Starbucks and went back to the apartment to eat some chili and watch Hocus Pocus. I just love that movie, and I want one of the capes that the witches wear. 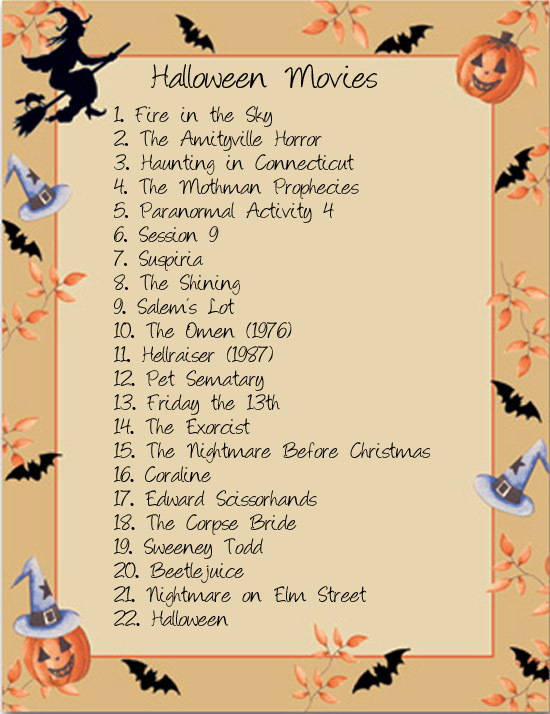 Here's the list of Halloween films I have lined up for the rest of the month!